Looking back on the first episode of Season 8, it's very obvious that the exposition-heavy, pacy chapter was chiefly focused on setting the chess pieces in the right place before it all kicks off. It was, effectively, a crossroads that brought together most of the cast who will be involved in the first major set piece of the season (or in the case of Tormund, Beric, Dolores Edd and their company, bringing them close to Winterfell at least). Episode two, then, will be where everything properly kicks off. Or at least where it all escalates to the point of the Battle Of Winterfell's early moments (and probably some unspeakable tragedy or other). And that's definitely the tale of the trailer, which was released in the wake of the first episode airing. 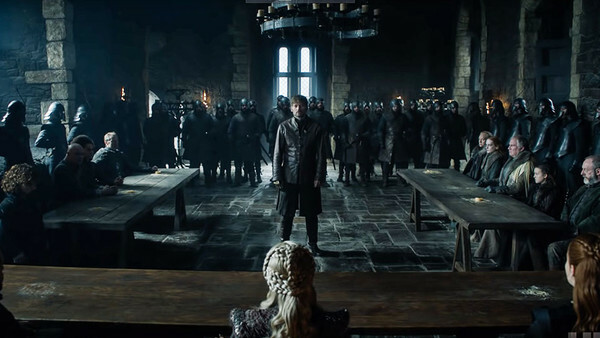 It's very much split between more story setting, with the aftermath of Jaime's appearance at Winterfell, and the escalation towards battle as it reaches its tense climax. All very exciting, but what does it all mean? We've seen the idea of past sins being revisited coming up in Game Of Thrones time and time again. Few people have ever been able to get away with something heinous (apart from Cersei, perhaps) and in most cases, they're killed for it. Usually in some poetic manner. Jaime might have come the furthest along a development scale since his first appearance in the first episode, but there's no getting around the fact that he is a killer who threw a child to his death (or tried to) and who raped his sister. He is not a straight-forward "good guy" at all and he hasn't really paid for his crimes, despite losing a hand. 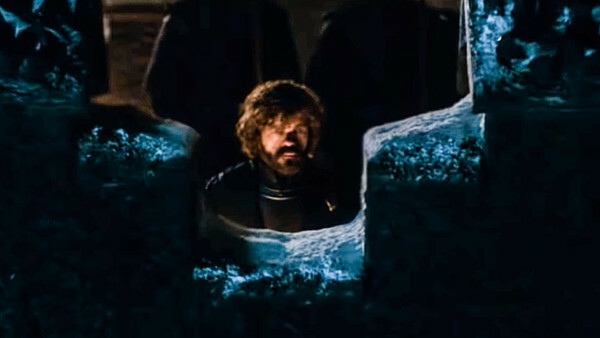 The trailer focuses heavily on Jaime basically being held accountable by the Starks and Dany, with what appears to be a court at Winterfell. And it's unlikely he can get out of it, because he has to also answer for killing the Mad King to Dany, who will be less easily swayed than the Starks. His only hope will have to be that the Night King arrives in time to disturb the proceedings against him.